Today marks an important day in the run-up to the July 1 launch of the exciting new Toyota Auris Hybrid. Rt Hon Dr Vince Cable MP, Secretary of State for Business, Innovation and Skills, will officially launch the start of production of the all-new Auris Hybrid, the first full hybrid vehicle to be produced in Europe, during a visit to Toyota’s Burnaston plant in Derbyshire. During his visit Dr Cable will meet with workers and management from Toyota’s UK and European operations, before witnessing the Auris Hybrid drive off the end of the production line. This will mark the official start of production of Toyota’s first full hybrid family hatchback. Mr Katsunori Kojima, Managing Director of Toyota Manufacturing UK added: “It is a proud day for Toyota Manufacturing UK as we celebrate the official start of production of the Auris Hybrid Synergy Drive, yet another premium quality model to be Built in Britain. To manufacture a world-class vehicle you need a world-class team and the commitment and dedication of our members has been crucial. 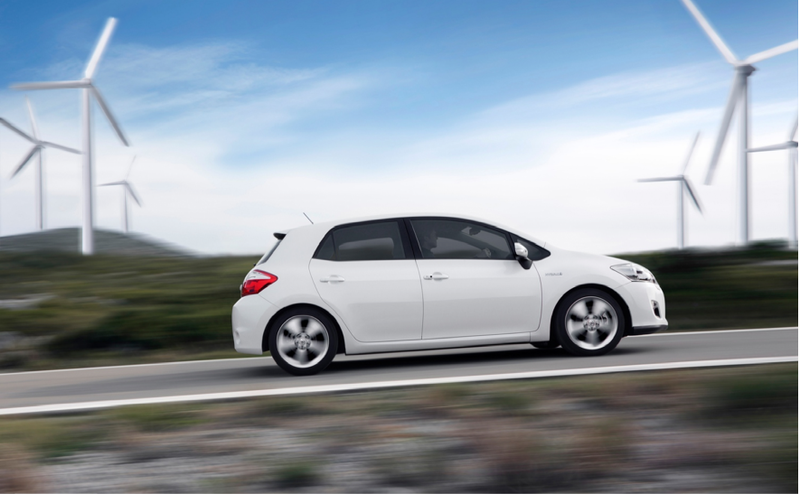 The new Auris Hybrid launches this Thursday, 1 July. To arrange a test drive, contact your local Toyota Centre. To read more from the blog about Auris Hybrid, including our behind-the-scenes series and exclusive test drive in Barcelona, click here. Update 05/07/10: Images from behind the scenes at the Auris Hybrid production ceremony, including Vince Cable MP’s tour of the Burnaston manufacturing plant, can be found here.